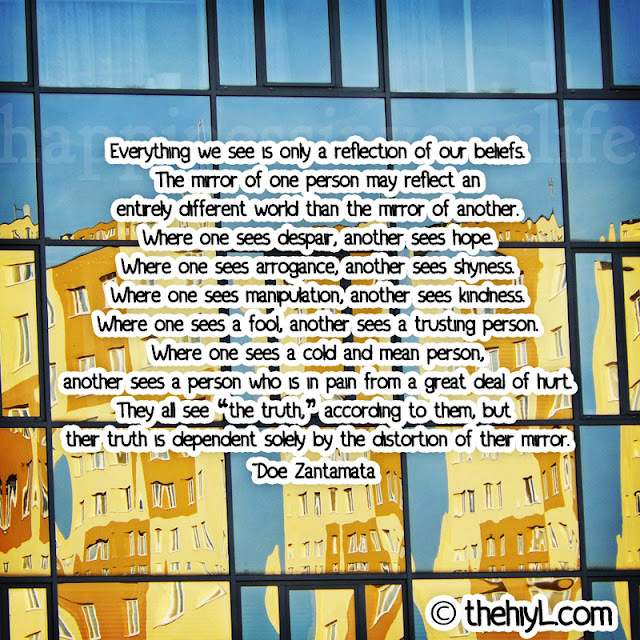 Everything we see is only a reflection of our beliefs. entirely different world than the mirror of another. Where one sees despair, another sees hope. Where one sees arrogance, another sees shyness. Where one sees manipulation, another sees kindness. Where one sees a fool, another sees a trusting person. another sees a person who is in pain from a great deal of hurt. their truth is dependent solely by the distortion of their mirror.